Today I can photograph anything I want. Well, here’s my latest obsession. You’re looking at the reason I don’t blog very much. I’ve let him take over my life. 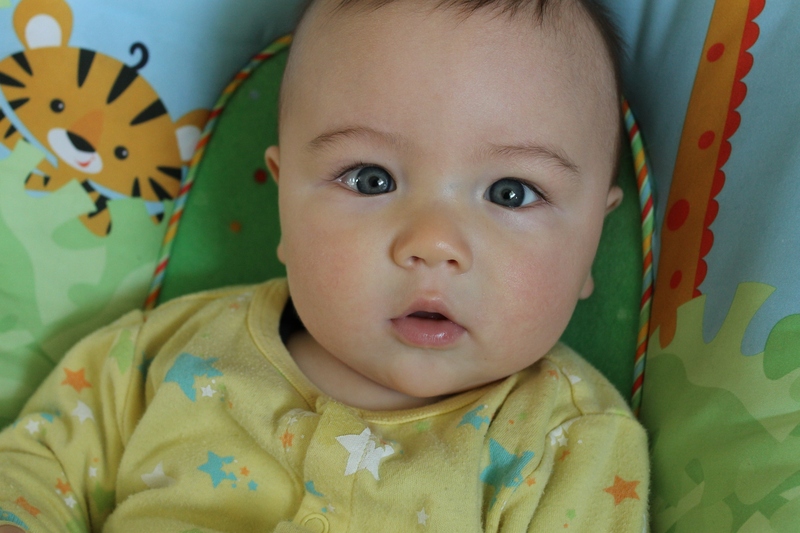 He’s almost six months old and, well, he’s spectacular. You’ll notice Daniel has blue eyes. Charlie did too, at that age. Around nine months of age, Charlie’s eyes changed. My husband is 100% Chinese so you can imagine how the perplexed we all were. Now we’re used to blue-eyed, half-Chinese babies. Charlie was a difficult baby. Looking back I definitely experienced a state bordering on depression. This time things are different. I’m so happy. Now I get why many new parents feel a sense of lightness. Right now things are great with this baby. I know it’s going to change and that’s partly why when Daniel cries at night, I squeeze him tightly. Those moments pass. I’m grateful for every snuggle. I mean, I have to beg for snuggles from Charlie now.